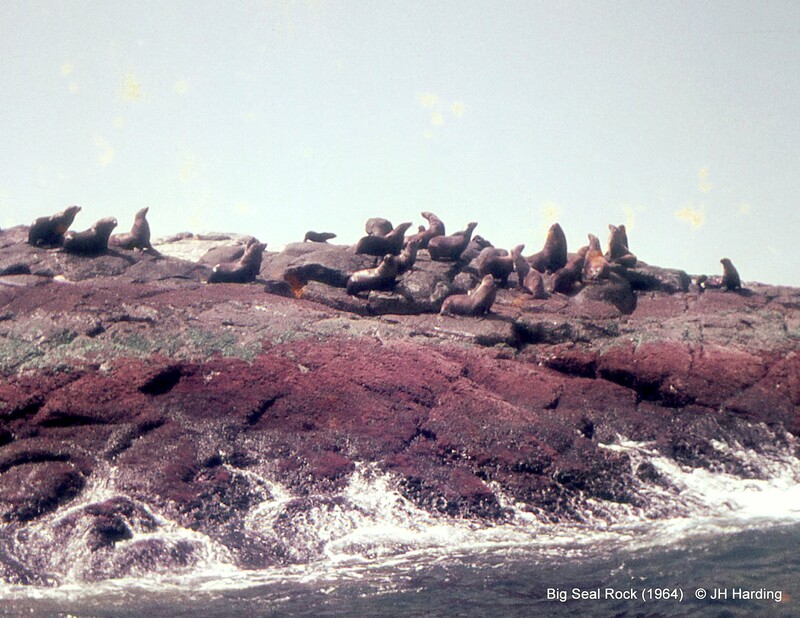 Part of the 1960s sea lion colony at Big Seal Rock. 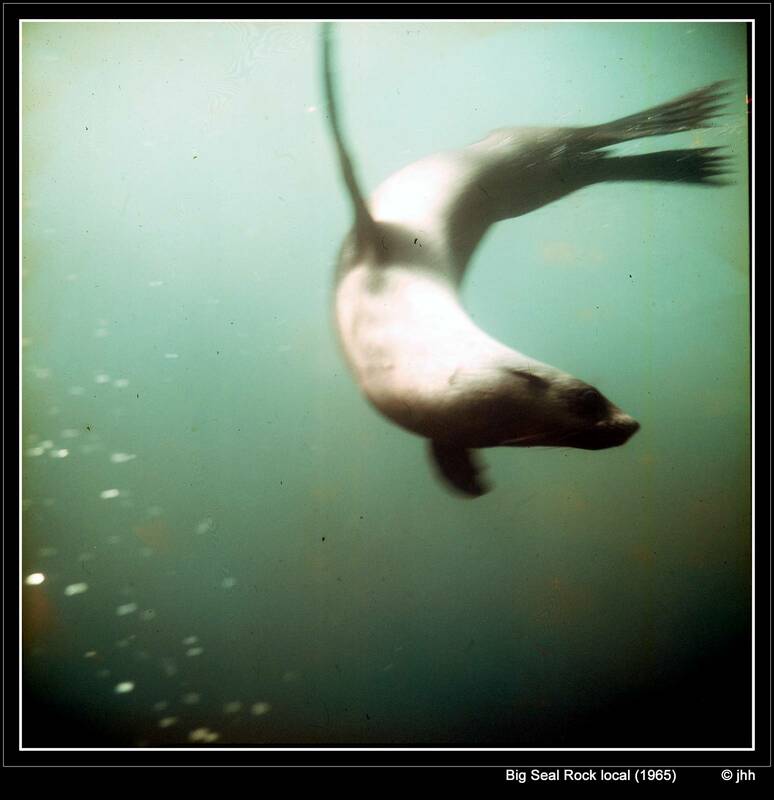 Big Seal Rock picture with a Rolleiflex. 75mm lens. Sugarloaf Point in the distance as viewed from Big Seal Rock. 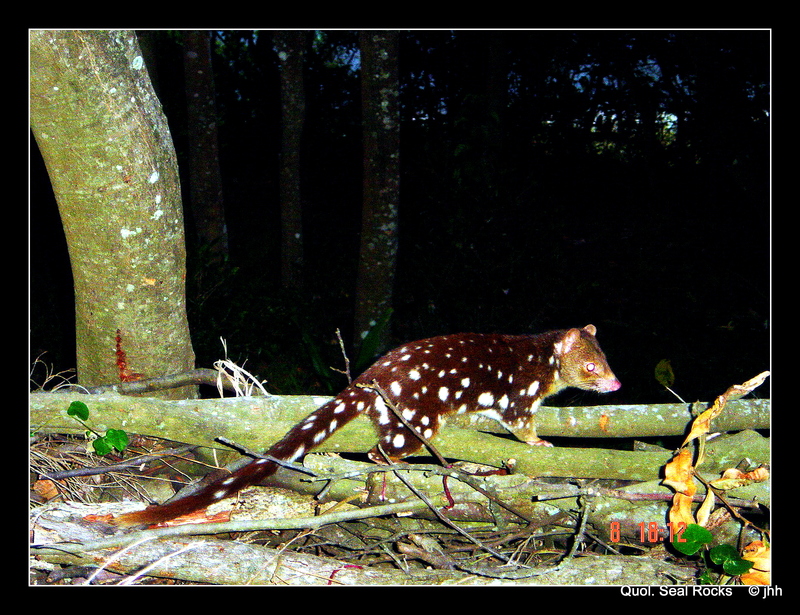 Quol appeared in the rain forest, not far from the shop. 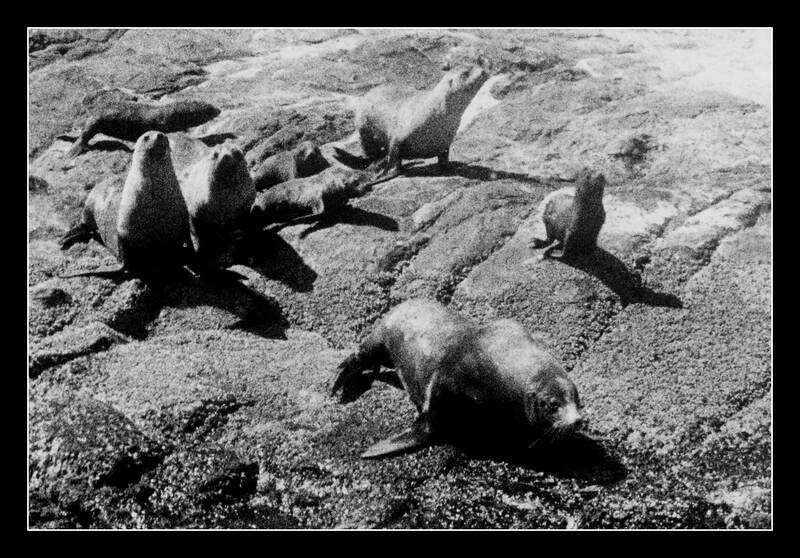 Australian fur seals or sea lions once inhabited the rock. 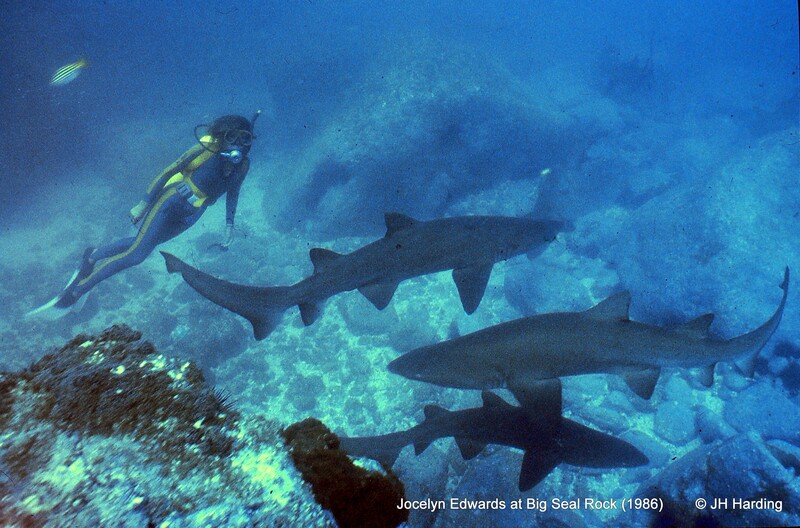 Slowly they went into decline, as did the grey nurse sharks. Some believe it was linked to a land drought that depleted natural food for both species. The sharks made a rapid return in 1986 – the seals are returning also. Jocelyn Edwards having a swim at Big Seal Rock. 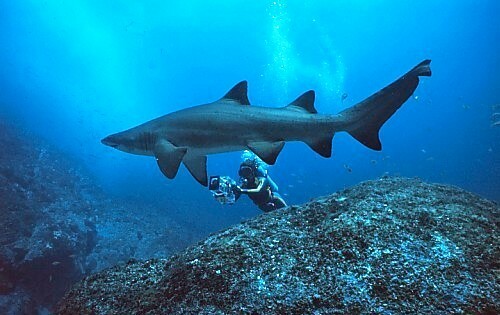 Depth about 20 meters – in 1986 when the sharks began returning after a decade-long drought on land. 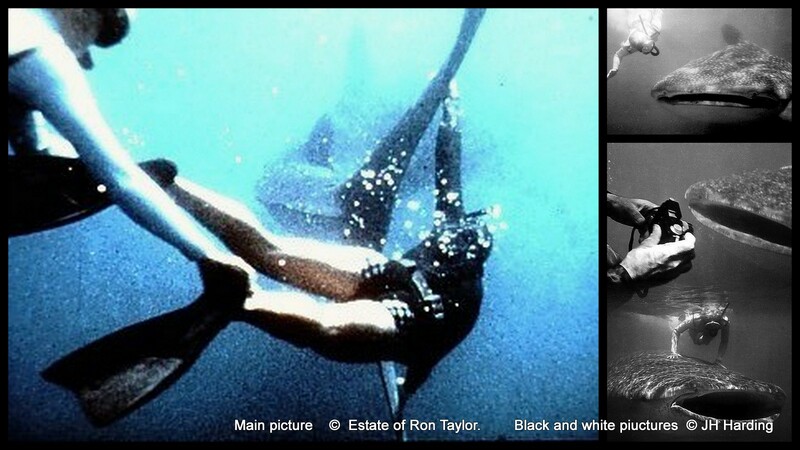 Whale shark was swimming in a southerly direction when Ron Taylor’s filming team encountered it while heading for Big Seal Rocks to film sea lions (seals) for a TV programme. It was a chance encounter that was rare at the time. Sugarloaf Point & Seal Rocks Blog at WordPress.com.